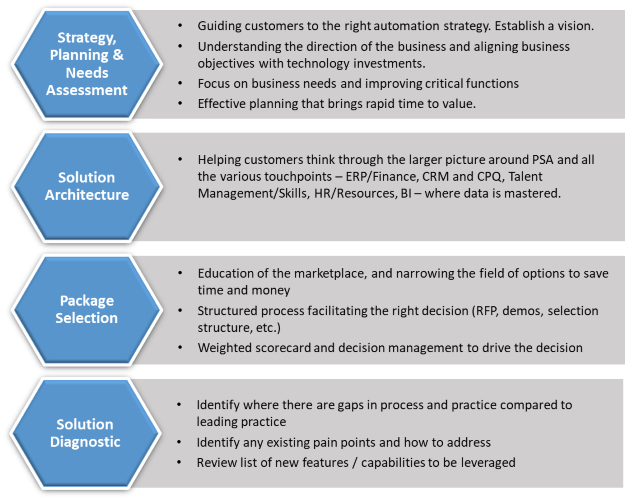 Improving automation and introducing new technology can be a game changer for organizations, but it requires strong up-front planning and thoughtful evaluation and definition of the bigger picture. Often, organizations jump right into the implementation without first considering their strategy and evaluating the current and desired state of their critical business processes. RTM Consulting helps its customers make the right decisions by taking a critical look at the current state and understanding where and how the organization should change. Technology is the enabler of good processes. Be sure your organization is ready to drive the right automation rather than the automation driving you. We offer a full breadth of technology advisory services offerings. Click below to learn more about how RTM Consulting can help your company. Our assessments are workshop driven and process oriented. The end objective is to clearly define and prioritize the needs of the business. Our assessments also provide a high-level view of potential providers to meet those needs. Our solution alignments are workshop driven and focus on maximizing the benefits to be achieved through implementation of the selected solution. The end objective is to clearly define and prioritize the technical and functional requirements, address how each will be met, and outline the scope of the initial implementation. Our solution diagnostic is workshop driven and process oriented. The end objective is to identify solutions for current pain points. These solutions could be addressed by new features, processes or organization improvements or simply better ways to utilize/optimize your solution. Contact RTM Consulting to discuss any of our technology advisory services offerings.